Wheels Car Of The Year. Come in and experience for yourself why the XC40 is so spectacular. The R-Design exterior styling includes a blacked out gloss grille, black contrasting roof and dual black tailpipes, 20-inch 'diamond-cut' black alloy wheels, plus it rides on the 'sport chassis' with more nimble suspension, and adaptive headlights with cornering beams. Inside it gets R-Design perforated Nubuck trim on the seats, steering wheel (which also gets paddle shifters), plus it has a black headliner. In addition to electric driver's seat adjustment, R-Design models get electric passenger seat adjust, plus there's full keyless entry, an electric tailgate with gesture function, and ambient mood lighting. This car is also fitted with the Technology Pack giving you Adaptive Cruise Control and Auto Pilot Assist, 360 Camera and Park Assist Pilot. Come in today to experiance the thrilling 185KW drive of this fantastic vehicle. 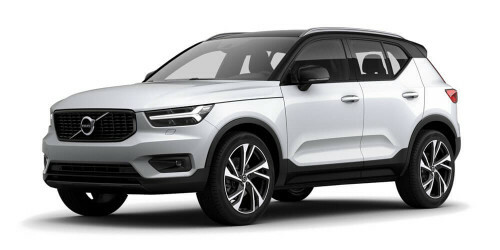 I'm interested in a Demo 2019 Volvo XC40 XZ MY19 T5 R-Design Suv (stock #V10301).